A cold front will bring scattered showers and thunderstorms to our region overnight Monday into the midday hours on Tuesday. The image below (courtesy tropicaltidbits) is from the latest North American Model (NAM) and shows lines of showers and thunderstorms moving northeast out of the mountains into the Washington Area late Monday night through the midday hours on Tuesday. 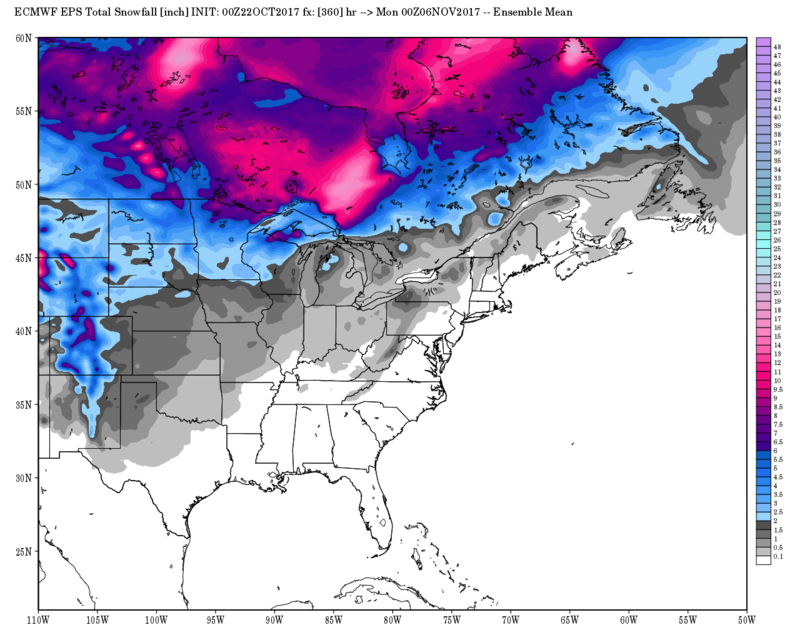 A nice snow pack may be setting up across Canada during this time along with several chances for lake effect snow in the Great Lakes states. The Appalachian mountains of West Virginia northward through Pennsylvania may also get in on some snow showers during this time period. I’ll issue it before Nov 1st… aiming for this weekend.